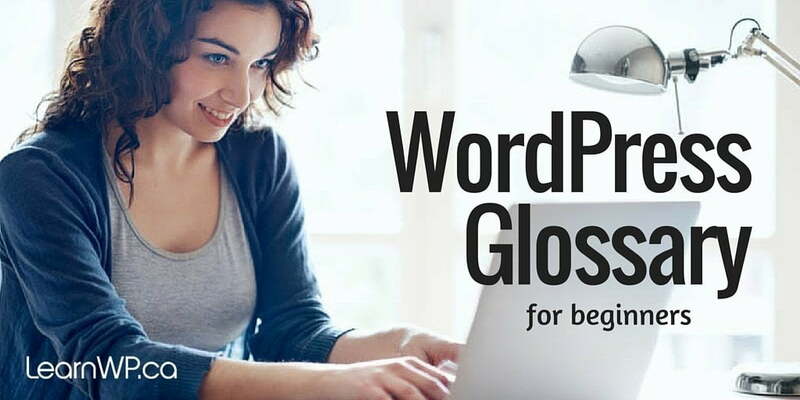 Definitions for terminology and acronyms commonly used in web design and WordPress are explained here in plain language so beginners will understand. Anchor text is the visible, clickable text in a hyperlink. The words contained in the anchor text tell search engines what the link is about and is an important factor in search engine rankings. The backend of a WordPress website is the area that authorized users can sign into to add, remove and modify content on the website. This may also be referred to as “the dashboard”, “wp-admin” or “the administration area”. The frontend is what your visitors see and interact with when they come to your website. Learn how to login to WordPress here. A child theme is the safest, and easiest way to modify an existing theme, whether you want to make a few tiny changes or extensive changes. Instead of modifying the theme files directly, you can create a child theme. 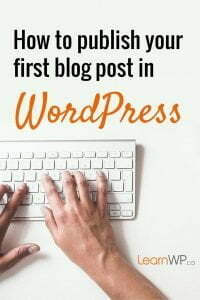 Your WordPress website comes with two primary post types: blog posts and pages. You can extend your WordPress functionality by creating custom post types for the specific needs of your web portfolio. A post type can be pretty much any type of content (i.e. Events, Testimonials, FAQs, Our Team, etc…). Plugins often add custom post types. You can register you own custom post types by using a plugin. Custom post types are often created by web developers within the theme they are building, but it is better to use a Custom Post Type plugin so the functionality stays regardless of theme. The dashboard is the first screen you see when you log into the backend of the WordPress admin area. 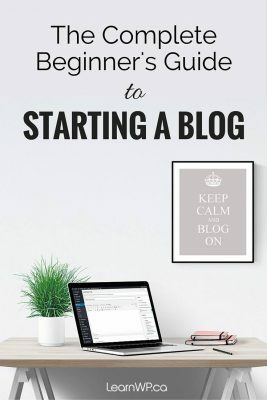 An excerpt is an introductory summary of blog post content that appears on a blog summary or an archive page typically with a Read More or Continue Reading link. WordPress lets you craft custom excerpts. To reveal the excerpt editing field, click screen options at the top right of a post or page and tick the excerpt box. Now when you scroll down below the post editing area, the excerpt field will be there. A WordPress theme may come with a variety of page templates. Available page templates will be available by a drop down menu within the page attributes tab. If for example, you select a template titled “one column no sidebar” that one page will display without a sidebar. The Page Templates that are available to you in the Page screen are dependent on your theme. If you change your theme, you may lose a template that you are currently using. Pages contain content and information that you don’t frequently change. In other words, the content is static. Information such as this might include your home page, about, contacts or services pages. Pages usually have comments disabled. A plugin is a code package you can install to add specific functionality to your site. Plugins mean that WordPress core files only need to provide the basics that every site needs. Individuals can add the additional features they want by picking and choosing a plugin. Search the WordPress Plugin repository from the plugin interface in the wp-admin area. 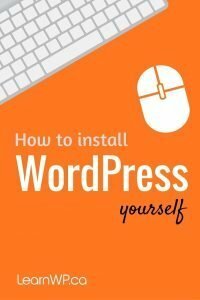 Learn more about WordPress Plugins here. display metadata of date, author, tags, and categories. SEO is an acronym for Search Engine Optimization. It involves tactics and best practices to help your website and blog content rank well in organic search (versus paid ads on Google). Learn more about SEO with this post. 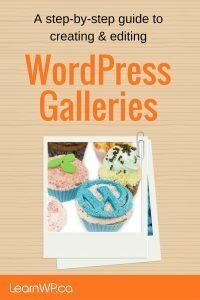 A theme is a collection of files that work together to produce the layout and design of your WordPress site without modifying the underlying software. Essentially, the WordPress theme system is a way to skin your site. A Theme framework is a Theme designed to be a flexible foundation for WordPress development removing the need for programming or design knowledge with options pages. Genesis is one example of a Theme framework. URL is an abbreviation of Uniform Resource Locator (URL). It is the global address of documents and other resources on the World Wide Web. Widgets are tools or content that you can add to your website. Widgets allow you to add content and functions to your sidebar or other “widgetized” areas of your website. Sometimes when you add a plugin, a widget comes with it. Widgetized Areas: are usually located in the sidebar. However, these widget-ready areas can be in the header, footer as well as the sidebar. The number of widget areas and their location and names are dictated by your theme. Sometimes, when you add a plugin, a new available widget comes with it. Are there terms we’ve missed? If there are other terms that you would like explained, let us know and we will add them to this page.